Cranbrook family home gets set for the family! 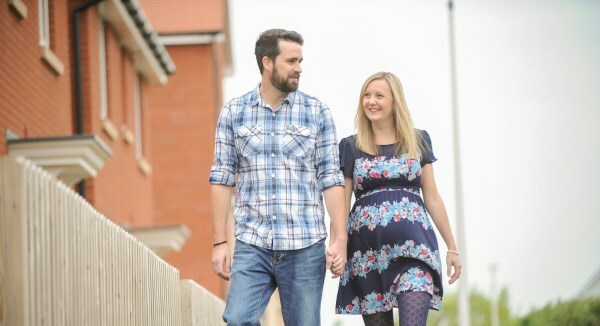 With their first child due in July, 2014 is set to be another big year for Kelly Ebdon-Marks and husband Jason, and Bovis Homes is delighted to have played a part in their story. The couple were one of the first residents to move into Cranbrook in the summer of 2012 when they bought their first home at Heron's Reach, and another significant milestone was reached when they were married the next year. Now with a new arrival imminent they are looking forward to becoming a growing family in the growing community of Cranbrook, which will eventually host 2,900 new homes as it becomes the first major settlement seen in Devon since the Middle Ages. When searching for their family home, the couple had a number of options, but they finally settled on the three-bed Beardsley house type. "We looked at other housebuilders' developments, which offered similar priced three-bedroom properties, but for us Bovis Homes provided the best layout," explained Kelly. "We preferred to have a kitchen diner, as opposed to lounge diner, as well as a smaller hallway, in order to enhance the living space." But it wasn't just the property that impressed the couple. Kelly said: "We had fantastic service from Jayne and the rest of the Bovis Homes sales team. "We were one of the first to move into Cranbrook and when we paid our deposit in May 2012 it was a building site, so we had to imagine what it would be like. But Bovis Homes really helped and clearly explained every step of the process, which was great for us as first time buyers. "Now, with our first child due in July, we're looking forward to making some very happy memories in our first home." Since they moved in, Bovis Homes have started work on a second phase of new homes at Cranbrook called Avocet Meadow. 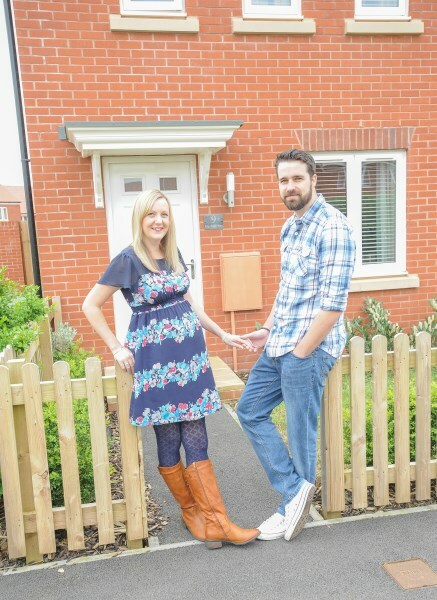 Kelly, who is a medical HR manager, and Jason, a scoping engineer, were able to get on the property ladder and buy the end-terrace property thanks to a Government-backed scheme called FirstBuy, a forerunner of the current Help to Buy scheme, which also required just a 5% deposit. "We were able to buy a home much quicker than planned," explained Kelly: "The added bonus with this scheme is that we only required a 75% mortgage with a 20% equity loan, interest-free for five years, which is a great help financially when you are first starting out on the property ladder." For more information about Heron's Reach, Avocet Meadow, Help to Buy or any other Bovis Homes developments, visit www.bovishomes.co.uk.